One thing I like to do is to take a traditional recipe and put a California spin on it. Daughters Miriam and Eilene love Japanese curry. 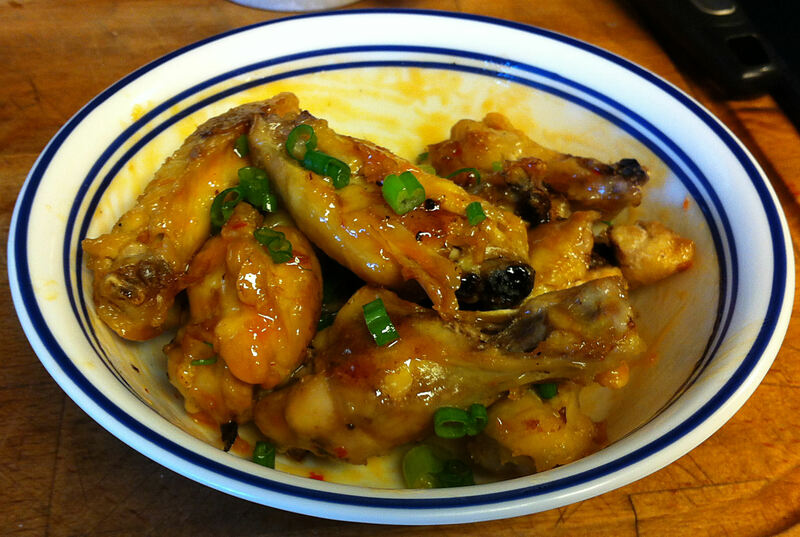 I decided to take the curry out of the stew and marinate my chicken wings with it. It is Memorial Day and barbecue is the traditional way of celebrating. Son-in-law, Chris, is avoiding sugary foods, so many a barbecue sauce was out. I decided that a spice rub would be the way to go. Jan asked me last week why I never make chicken wings. As is usually the case, at some point in the past she told me that she did not like them. As is also the case, she completely denies ever having said that or that she did not want them that day. Eilene prefers legs to wings, so I threw in some of those as well. I was making salmon rice for lunch, but I had very little teriyaki salmon left. 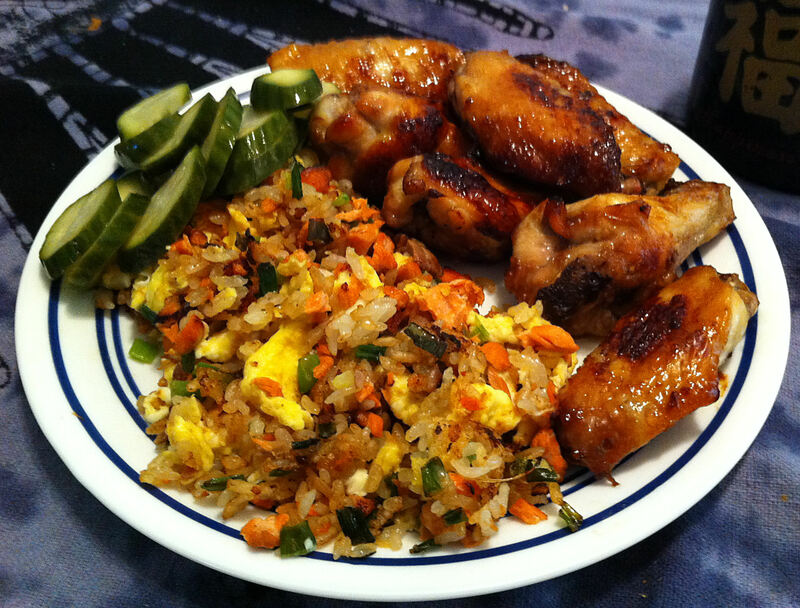 I decided that I would supplement the meal with some chicken wings. A simple teriyaki sauce and sometime in the oven and presto—lunch. 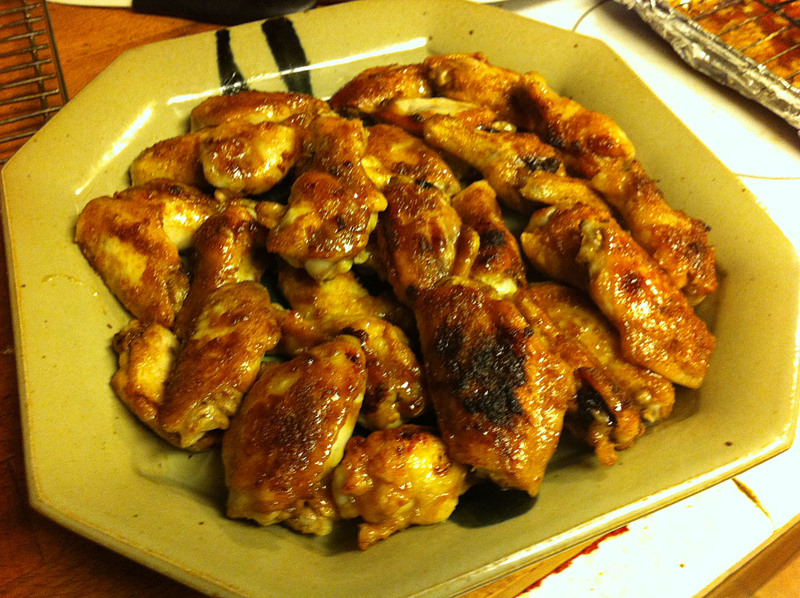 I was left to make lunch just for myself, so I thought I would make some chicken wings. I had some frozen chicken wings and sauce on hand. Why go out and buy them? This is for one person, but you may easily increase it for as many people as you have. It is Spring Break, so Eilene’s Thursday show night has been moved to Saturday. They are watching the last Lord of the Rings movie. It is time to think up some new Shire recipes.